Picturing Disney: Wanna Win a $50 Disney Gift Card???!! 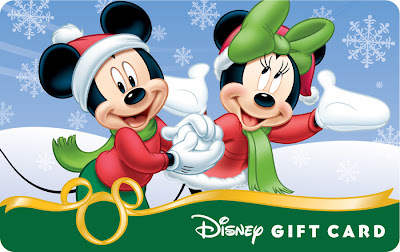 Remember that Facebook post last week telling you that you will have the chance to win up to $200 in Disney Gift Cards this holiday season?? Well, its time for the first giveaway! In between your Black Friday and Cyber Monday shopping head on over HERE to Mousekejournals for your chance to win! Or just click on the picture of the gift card below to be linked over! Good luck and Happy Thanksgiving!